I know this pumpkin thing has seemed over-the-top too many. I love it. I am not big on the consumerism aspect of it but I am in love with this festive time of year. It’s a teaser for the month of November and all the fun that comes with it. 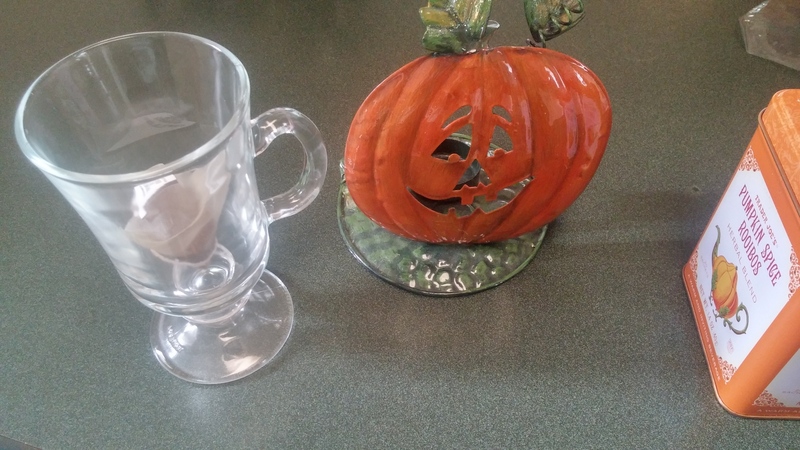 Unfortunately, I started seeing pumpkin stuff as early as mid-to-late August. I understand companies want to get a jump on it but that’s where this becomes just business and less about the spiritual aspect of this time. Now I love all the amazing foods and drinks that can come from this. But we’re seeing it added to everything; bread, chips, coffee, tea, alcoholic beverages and everything in between. I used to just think it was in a pie on Thanksgiving and that was it. Need I say more? The visual is beautiful and you can’t help but be mesmerized by the choices. 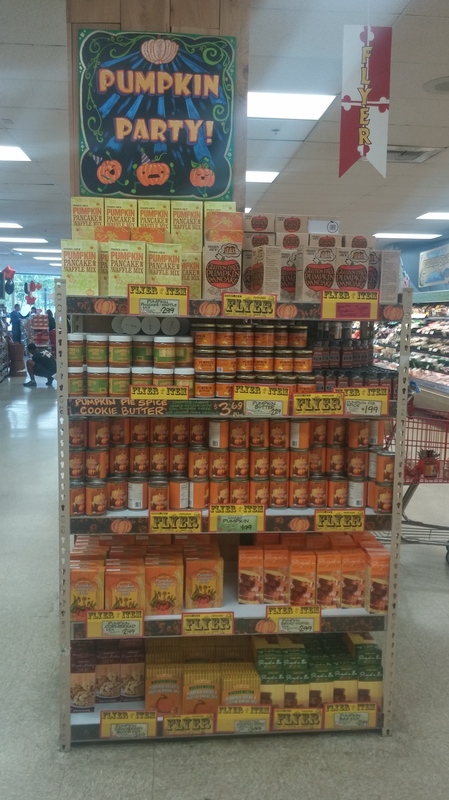 It could be a pumpkin-themed display or something on the opposite end of the spectrum and we’d still be enthralled. 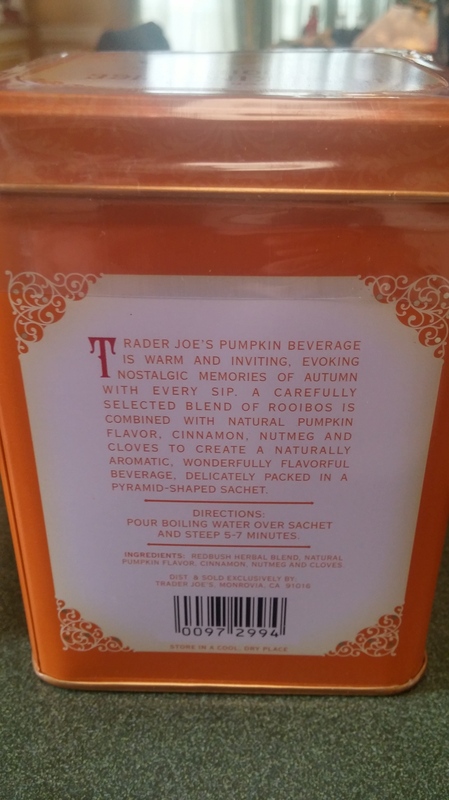 I take it back to Trader Joe’s for this week’s tea assessment. 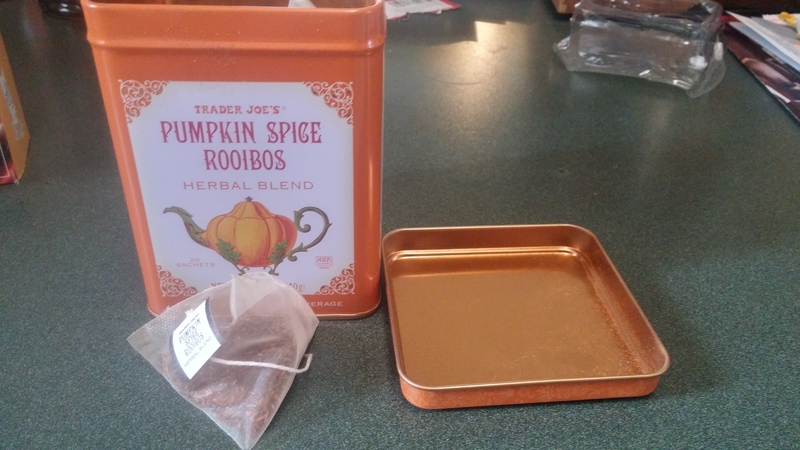 It’s the Pumpkin Spice Rooibos Tea and it’s an interesting one. 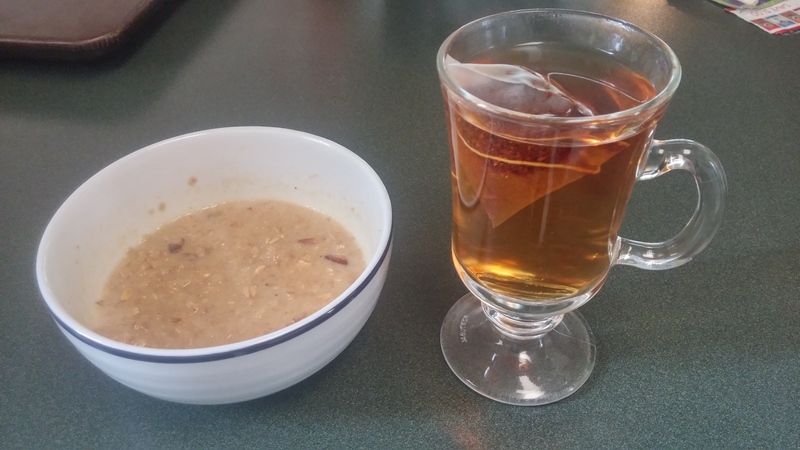 I like rooibos and the health benefits have been presented to you in these two respective links. 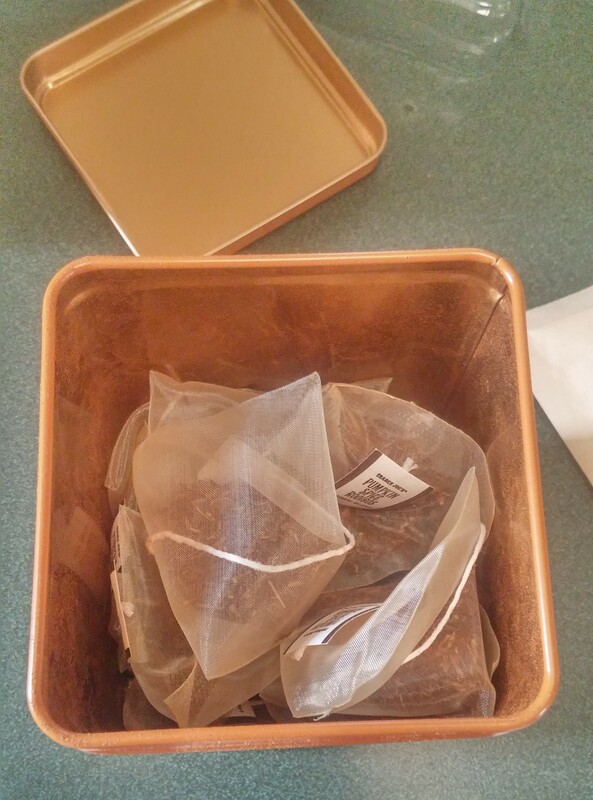 But if I wanted a regular rooibos I’d have purchased one. 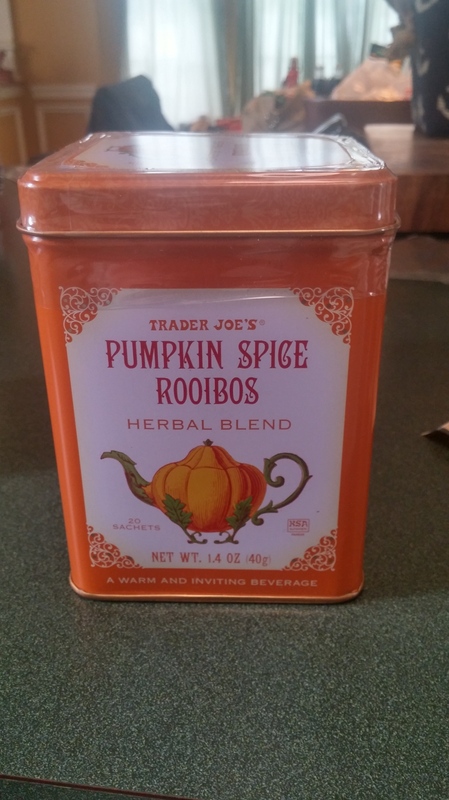 I purchased this expecting more pumpkin and the autumn themed flavors. I got none of that. The flavor is fine if they didn’t mention the spice. So this is not as advertised. Maybe it’s my taste buds but I don’t think so. I really gave this a shot. I steeped this for the suggested amount of time and I didn’t get much. However, the smell from the sachet was absolutely terrific. But that scent did not translate when brewed. The aromas of cinnamon and nutmeg definitely hit me when I opened up the tin. 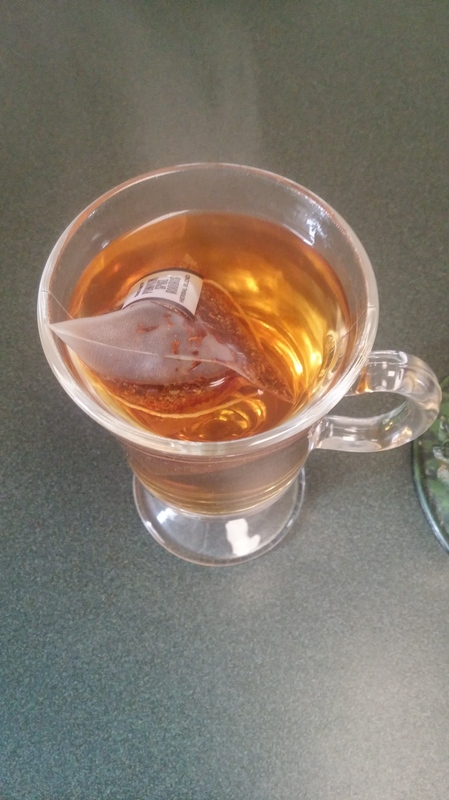 Why did it not permeate after steeping? Could it be that it’s artificial? That’s just my speculation. 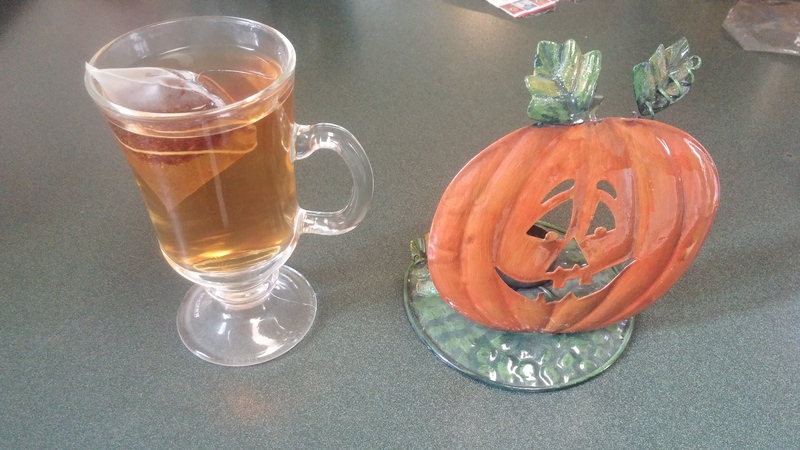 The reddish-pumpkin color after steeping is also stunning which ordinarily correspond with a masterful tasting cup. I really wanted to love this tea but it didn’t happen. It’s ok otherwise but the promotion that this is a pumpkin spice tea I feel is misleading. 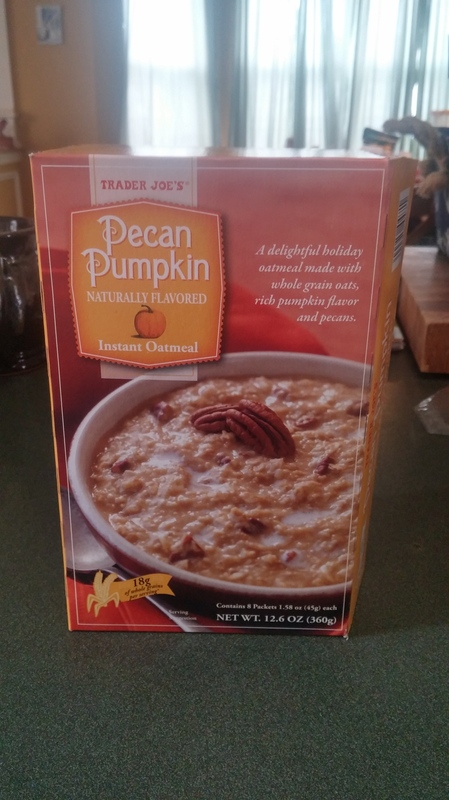 In the spirit of this day I did enjoy a bowl of pumpkin-themed pecan oatmeal that was really good but also not as powerful as maybe implied. I wouldn’t dissuade anyone from trying this. Many may prefer this tea exactly as it. Hopefully you’ll be able to detect the flavors that I couldn’t. I wasn’t even trying too hard which usually leads to positive results. But they can’t all be masterpieces. Nevertheless, I highly recommend this gem from Trader Joe’s that captures what this season is all about. I hope to end the TJ’s posts on a high note, so I envision this is not the last time I write about them this year.